Blog » Diet » Is Organic Food Really Better For You? Eat organic food is stock advice on many health websites. Organic is portrayed as the right choice for your health and conventionally produced food is scoffed as being ‘pesticide laden’. But is there any evidence for these claims? Is organic really more nutritious and healthier? These are not idle questions. Because organic is more expensive, and feeling like they have to eat organic those with smaller budgets feel stressed. I’ve long since lost count of emails to this nature I’ve answered. In this post I want to take an objective look at the health effects of eating organic food. We’ll cover the evidence for and against it. So that in the end we should be able to say whether organic is worth the premium price. Note: this post is about the health effects of eating organic, like nutritional value and pesticide residues in organic vs. conventionally farmed food. I won’t talk about any other reasons for (or against) organic food. Reliably measuring nutritional differenced in foods is difficult. Very difficult. Nutritional value changes with seasons, weather, soil quality, crop variety, freshness, storage time, etc. Studies use various ways to try to control for those variables, such as using adjacent plants and matching cultivars and growing seasons. The point is that studies are messy and you should expect to find a lot of conflicting results. That’s why we should look at the evidence as a whole and not rely too much on any one study. That’s also the reason that both sides of the debate can claim “scientific validity” for their arguments. In this field (like in most areas of scientific study) it’s easy to find some studies that support your predetermined conclusions. When we consider the entire weight of the evidence there doesn’t seem to be big nutritional differences in organic and conventionally farmed produce. On the basis of a systematic review of studies of satisfactory quality, there is no evidence of a difference in nutrient quality between organically and conventionally produced foodstuffs. The small differences in nutrient content detected are biologically plausible and mostly relate to differences in production methods. In studies like these the selection criteria for eligible studies affects your results. And The Organic Center was quick to point out that the selection criteria in this study were flawed and biased the results. They point to their own study as more reliably reflecting the true results. Well, they would say that. They are an organic lobby, after all. Can we expect them to be unbiased? The selection criteria in the above study were wetted and peer reviewed extensively. In other words, it was conducted to high scientific standards. Still, this is something to keep in mind. Most reviews published in high-impact, mainstream medical journals reach similar conclusions. Most say that there are no significant differences between the two growing methods. With the possible exceptions of vitamin C that seems to be more abundant in organically grown crops. The Wikipedia article on organic farming also states there’s no good evidence to say organic is more nutritious. As does the Food Standards Agency in the UK. Interestingly, studies published in journals dedicated to alternative medicine almost always find organic superior and healthier. Most of these studies are authored by chiropractors, naturopaths and other non-science based practitioners. These people (and journals) are ideologically slanted towards organic being better. Just like studies published by drug companies are almost always positive, I wonder if bias cuts both ways. I could find only one study published in respected, mainstream journal that concluded organic to be more nutritious. However, it is the most recent study I’m aware of (published in 2011). It also seems to be very well done. It included 908 comparisons, out of which 462 favored organic and 364 favored conventional produce. On average organic produce had 5.7% higher nutrient content; a difference that’s meaningless in real life. Length of organic farming time as a factor? It’s possible that organic farms need several years to mature and reach their potential. One 10-year study found that organically grown crops got more nutritious as time passed whereas conventionally grown crops didn’t improve. It found 79 and 97% higher antioxidant content in organically grown tomatoes. But we have to keep in mind that this is just one study. And as such it’s interesting, but we can’t let it affect our conclusions too much. It’s also unlikely that all the negative studies would only use new organic fields. Still, this area warrants further study. So far I’ve covered the major studies on the topic, but there are also others. I have to skip them because I don’t want to make this post excessively long (it’s already long enough). So if you want more info, Josh DeWald at What Does The Science Say blog posted a good analysis titled: Is Organic Food More Nutritious than Conventional? Please check it out if you want to read more. Based on all the evidence I’ve seen there doesn’t seem to be much of a difference between organically and conventionally grown produce. If studying comparing nutritional content of organic and conventional produce is difficult, then comparing the human health effects is downright impossible. Nevertheless it has been tried a handful of time. I found a paper that reviewed relevant studies. Here’s the conclusion. The only real difference found was that consumption of organic dairy products seems to lower the risk of childhood eczema. The paper also noted that some studies show higher antioxidant activity in people eating organic food. Which is interesting, but the paper also mentioned that antioxidant activity has never been linked to any concrete health outcome. Proxy measures like this are interesting, but more often than not don’t lead to any meaningful health effects. The problem is that this study only looked at nutritionally-related health effects and didn’t consider pesticides at all. People promoting organic food often argue that organic is safer because it has less pesticides. 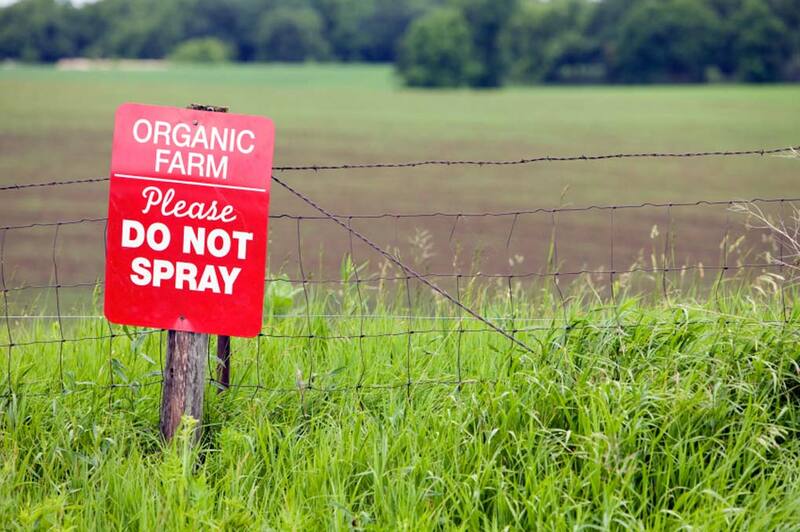 While it’s true that organic farmers often try to use non-chemical means to get rid of pests, these are rarely enough and even organic farmers resort to using pesticides. One reason studies and surveys show organic produce has less pesticides is that until recently we haven’t had a good way to detect and measure organic pesticides in foods. If you aren’t looking for something, it’s not surprising that you don’t find it. Furthermore, organic pesticides are usually inferior to synthetic versions. Contrary to organic propaganda, organic pesticides are usually more toxic and require more frequent application than their synthetic cousins. Scientific American has a good article that goes in detail to the whole conventional vs. organic pesticides issue, for those who want to read more. But the real question is does pesticide exposure pose any real risks or is this just a theoretical concern. Most reviews comparing organic and conventional produce show there’s no real difference in risk. Similarly the FDA and FSA in the UK say that pesticide exposure from produce (regardless of farming method) is below the established risk limits. It’s important to not only look at exposure to individual pesticides but also cumulative exposure. These sort of cumulative exposure assessments have been made at least in China, Denmark and Belgium. Probably also in other countries, but those are the studies I found in my quick literature review. All three concluded that even cumulative exposures are below acceptable daily intake (ADI) levels, and do so by wide safety margins. The Belgian study concluded that the probability of exceeding ADI is less than 0.1%. The Chinese study showed somewhat higher exposure, but still within acceptable limits. I also looked at studies on other contaminants, such as heavy metals and contamination by bacteria and yeast. Again there were no real differences, and these contaminants don’t depend on the farming method. Rather, they may be absorbed from the soil (heavy metals) or happen during storage (bacteria and yeast). Contrary to claims organic food usually doesn’t contain more bacteria. We don’t have good evidence yet either for or against organic food being healthier than conventionally produced food. Organic seems a bit better in some proxy measures. Organic also has lower levels of pesticides, but neither acute or cumulative pesticide exposure from food pose any real health risks. My read is that organic could be better for you, but the difference is probably minimal and maybe even meaningless in real life. Given that organic food is more expensive and health benefits still elusive, it’s hard to justify buying organic food. Of course organic farming may be more energy effective (lower yields may offset this), and it may have environmental benefits, but those considerations are for another time. Buying organic isn’t worth it even if you really hate the Big Agro, because the biggest farming companies are also the largest producers or organic food. Organic means serious money, and the big businesses have already taken over the market. Just eat more fruits and vegetables. Regardless of the farming method fruits and vegetables are healthy. Simply eating more of them helps you more than eating organic. Buy foods in season. Seasonality has a far bigger impact on nutrition levels than farming method. 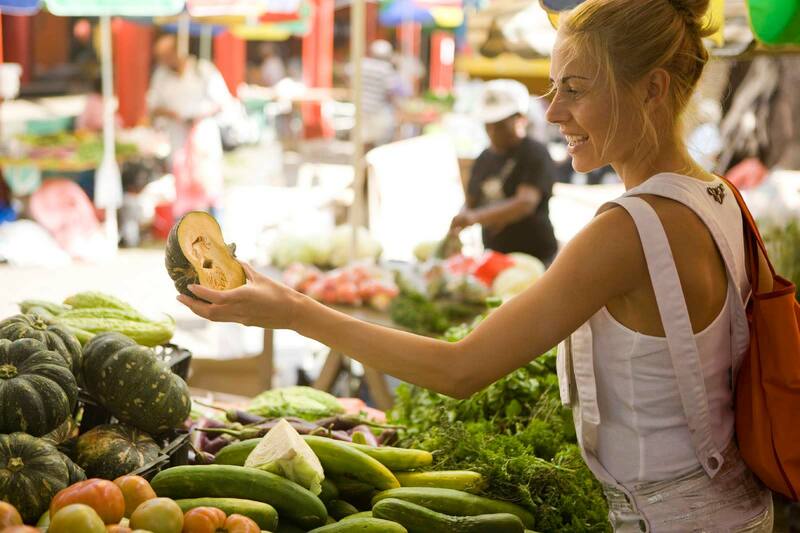 Whenever possible buy fruits and vegetables that are in season. Shop at farmers’ markets. Soil quality and freshness matters much more than farming method. The produce you’ll find at supermarkets is often intensively farmed (even the organic stuff) and might be even shipped from the other side of the world. Smaller scale, local farmers are more likely to maintain good soil quality, and you can buy their produce fresh from farmers’ markets. OK, it’s time to bring this marathon post to end. In this post we took a comprehensive look at the nutritional quality and health effects of organic vs. conventionally grown produce. There is some evidence that organic produce is a bit more nutritious than conventionally grown, but the difference is small and likely meaningless in real life. There’s also no good reason to believe pesticide exposure from conventionally grown produce poses any real health risks. Even cumulative exposures are far below established limits. Heavy metal and fungal contaminants don’t depend on farming method and organic and conventional produce have equal levels. So as far as health benefits and risks go there’s no good reason to pay the premium price for organic food. Your dollars are much better spent buying seasonal produce from farmers’ markets. Ten-year comparison of the influence of organic and conventional crop management practices on the content of flavonoids in tomatoes. Nutritional quality of organic food: shades of grey or shades of green? Organic food: nutritious food or food for thought? A review of the evidence. A comparison of the nutritional value, sensory qualities, and food safety of organically and conventionally produced foods. Nutritional Quality of Organic Versus Conventional Fruits, Vegetables, and Grains. Association Between Serum Concentrations of Persistent Organic Pollutants and Insulin Resistance Among Nondiabetic Adults: Results from the National Health and Nutrition Examination Survey 1999–2002. Results of the monitoring program of pesticide residues in organic food of plant origin in Lombardy (Italy). Results from the monitoring of pesticide residues in fruits and vegetables marketed in Piedmont (Italy), 2000-2008. Organic food: buying more safety or just peace of mind? A critical review of the literature. Putting the safety of organic food into perspective. Comparison of contaminant and residue levels in organic and conventional milk and meat products from northern Italy. Contaminants and microorganisms in Dutch organic food products: a comparison with conventional products. Contaminants in organic and conventional foodstuffs in France. Cumulative risk assessment of the intake of organophosphorus and carbamate pesticides in the Danish diet. Exposure assessment of the Belgian population to pesticide residues through fruit and vegetable consumption. Calculation of the dietary exposure of Chinese consumers to acephate residues using deterministic and probabilistic approaches. It would appear after all, that organic foods contain (even far) more antioxidants compared to conventionally produced produce. Mercola isn’t exactly a reliable source of this kind of information, or any kind of health information for that matter. He has demonstrated his anti-science bias several times over and continues to push his dogma regardless of what data shows. For a more objective analysis of the new organic study, please see this page: https://theness.com/neurologicablog/index.php/new-organic-farming-meta-analysis-what-does-it-really-show/. Even if you don’t agree with it, it’s not a bad idea to listen to different perspectives. It’s possible that organic food has slightly higher levels of some nutrients. We can’t make that conclusion based on the latest meta-analysis Mercola gushed about. But it’s certainly possible. Do those extra nutrients matter? Perhaps, if you don’t eat a lot of fruits and vegetables. But if you do get your 5 to 7 servings per day, then it probably doesn’t matter whether you eat organic or conventionally grown. In fact, recently BBC reported of a study that showed eating more than 5 servings of fruits and veggies a day is no better than eating 5 https://www.bbc.com/news/health-28542030. I wouldn’t conclude it just based on that study, but it does show there’s a limit to how much fruits and veggies help. Anyway, I think it would be far more constructive to encourage people to eat more fruits and veggies, instead of organic fanatics screaming how conventionally grown produce is toxic and destroys the planet. Organic fanatics like to point out that organic foods have fewer pesticide residues. But that argument is silly on 2 levels. First, pesticide residues are well below established safety limits, orders of magnitude below, and it has never been shown that pesticide exposure from conventionally grown fruits and veggies would cause any problems. In fact, all the studies show people who eat more of them are healthier. To claim that organic food is better because it has lower levels of pesticide residues is like pointing at two glasses of water, one of which is full and another half full, and claiming you are less likely to drown into the glass that’s half full. Technically true but absurd to the point of being meaningless. Second, organic produce shows lower levels of pesticide residues because current screening techniques mostly only detect synthetic pesticides. We aren’t even looking at levels of organic pesticides. It’s no surprise you won’t find something you aren’t looking for. do you also mean non organic meat is okay to eat cause i would like to buy it organic because i always thought its much better.. ?! Please don’t put your email-address into the URL field. It increases likelihood that the comment will be marked as spam. When it comes to animals, organic could actually be better. I don’t know, but if it avoids factory farming and antibiotics, it’s likely that organic meat would be healthier. I always eat conventionally grown meat as organic etc. is almost impossible to find in Thailand. I doubt that in the grand scheme of things it matters much whether you eat organic or non-organic meat.